The identification of such an “oncogene addiction” within a tumor means that researchers have a potentially new and valuable therapeutic target with the potential to cripple the deadly disease. “If we show that a cancer is addicted to a particular gene, it means that we have a prime target to attack and treat it with drugs,” said Frank Slack, professor of molecular cellular and developmental biology and Director of the Cancer Genetics and Genomics Program at Yale Cancer Center. Slack, senior author of the paper, and colleagues looked specifically at the action of a particular microRNA, a class of tiny RNAs that has been shown to regulate the expression of genes. In laboratory tests, the micro-RNA called miR-21 has been found to be overly expressed, or active, in nearly every form of cancer tested. However, its effect on living organisms had not been determined. The researchers found that mice bred to over express miR-21 developed a form of lymphoma. However when the gene was inactivated in the mice, tumors completely regressed within days. 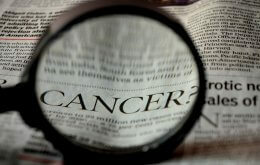 The results are the first to show that cancer can be addicted to microRNAs and that their absence can cripple cancer. “Our understanding of ‘oncogene addiction’ in cancer has major potential to change the way we target and treat cancer, with a new emphasis on targeting and inactivating microRNAs,” said Thomas J. Lynch, Jr., MD, Director of Yale Cancer Center and Physician-in-Chief of Smilow Cancer Hospital at Yale-New Haven. Pedro P. Medina and Mona Nolde of Yale are also authors of the study. The study was funded by the McDonnell Foundation, The Hope Funds for Cancer Research and a pilot grant from Yale Cancer Center.